CAMVISTA COMPETITION!!! 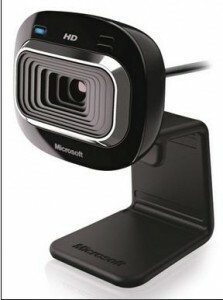 WIN A BRAND NEW MICROSOFT LIFECAM HD – 3000 WEBCAM!!! This Week Camvista.com are offering one lucky person the chance to win a BRAND NEW MICROSOFT LIFECAM HD – 3000 WEBCAM so they can stream themselves LIVE online, on Cam and in HD!! This year Camvista.com will be running regular competitions through our Facebook and Twitter Pages to give our online visitors the chance to win some great prizes. Sporting Tickets, Webcams, Free Hosting and Streaming and much more can be won by any of our online Facebook Friends or Twitter Followers during the next 12 months! And to start this great year of online Competitions, Camvista will be giving away a BRAND NEW MICROSOFT LIFECAM HD – 3000 WEBCAM to one lucky winner!! To take part in this weeks Camvista.com Online Competition simply Follow us on Twitter and Re-Tweet our Competition Tweet before 5pm GMT on Friday the 18th of January 2013!! Don’t worry if you are not successful this week, there will plenty more Camvista Competitions this year and loads to give away to all our Facebook Friends and Twitter Followers so Like our Facebook Page and Follow us on Twitter – @Webcamslive! !